Bellezza Verde Alta - Tall Green Beauty! 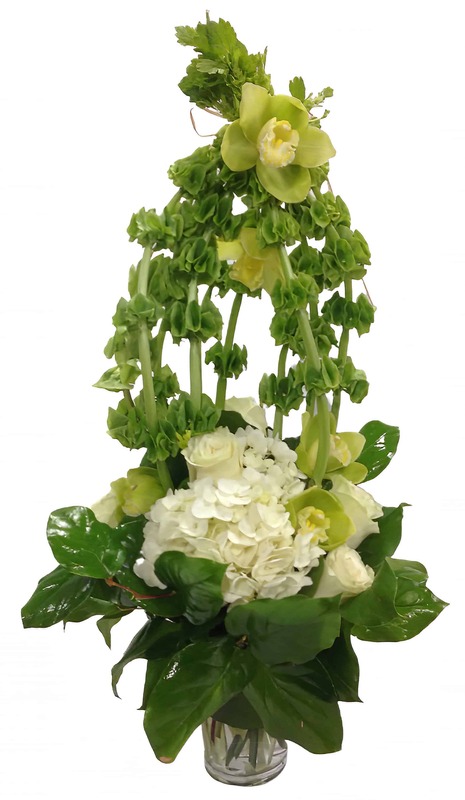 This is a tall arrangement featuring roses, imported orchids and a beautiful ensemble of greens that's intended to make that 'Wow' impression! It comes with a ti leaf wrap to complete this amazing piece. This piece is sure to add elegance to a special occasion or treat any viewer to some eye candy with it's magnificent beauty.